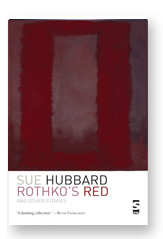 Rothko's Red Reading… | Zeno Agency Ltd.
Sue Hubbard will be reading from her recent short story collection Rothko’s Red on March 10th. The event takes place in the hospitality suite of the Hackney Empire and begins at 7.00pm. Entry is £5.00. The event is organised by “Fiction Writers in the Visual Arts”, you can get further details by calling 07967 161 291. ‘Each story in this, Hubbard’s first collection of short fiction is nominally centred around art. But what truly links the pieces herein is the themes of longing, loss and melancholy, and a sense that not even an intimate knowledge of the beautiful and the sublime can protect one from the daily tragedies of life. While several of Hubbard’s protagonists ultimately find redemption, it is always at a cost to themselves; the academic who gets away with cheating on his wife, but not without being fleeced by his mistress; the widow who realises that she is content alone, but only after a disappointing sexual encounter with a man she meets on the internet; the middle-aged divorcee who has an affair with an immigrant you enough to be her son and who she regards with distant amusement.